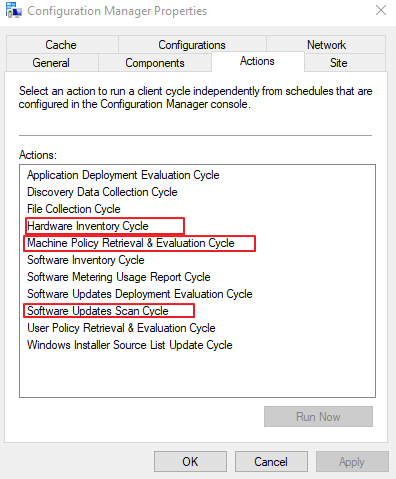 Next go to log into the client and go to Control Panel > System and Security > Configuration Manager and on the actions tab and run the Machine Policy Retrieval & Evaluation Cycle, Software update Scan Cycle and the Hardware Inventory Cycle. Try to wait a few moments between each action running one right after the other can cause the client to stop one action an run another. 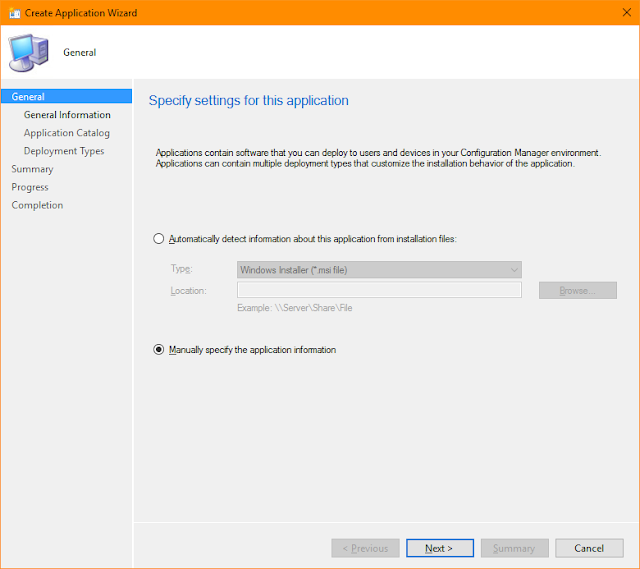 If you get an error on any of these actions uninstall the SCCM client and reinstall it. If you get an error or you do not get anything back reinstall the SCCM client, this means SCCMs part of WMI is not working and needs to be repaired reinstalling the client will do this. 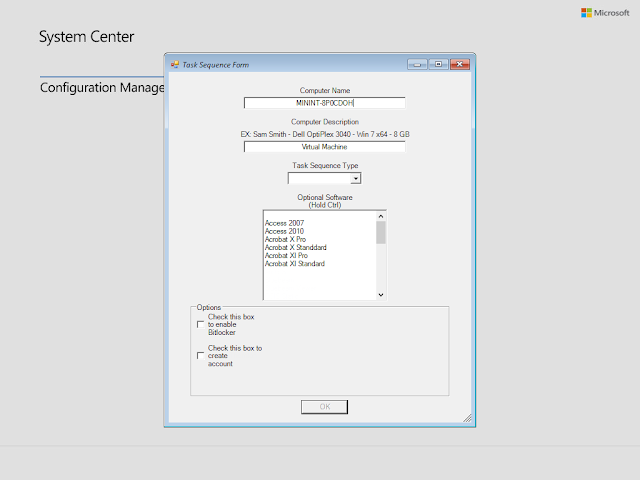 You can do this all manually or you can use my SCCM Client Health Check login script to help automate the process.